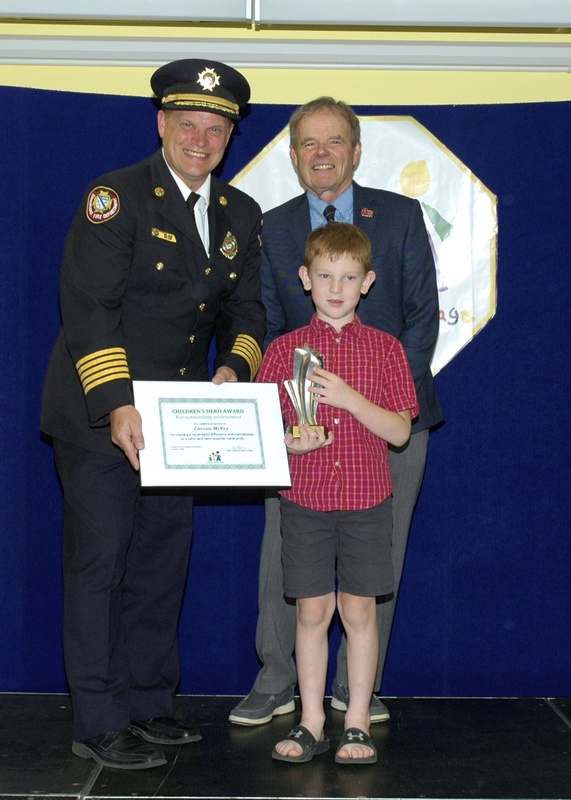 On June 9th at the Annual Children’s Hero Awards, Carson McVey was recognized as a Hero. Here is Carson’s story. In December 2017 Carson was recognized by his school for preventing bullying. When he saw his best friend bullying and teasing another one of his friends, he stepped in and stopped it. Carson continues to be an advocate amongst his peers to play peacefully and not allow fighting and bullying at school. Carson has also shown an interest in self-defense lessons so he can better protect himself and know how to help others. Carson’s award was sponsored by Toyota Motor Manufacturing Canada.